Rotary Club of Sequim donates wheels to local youth. 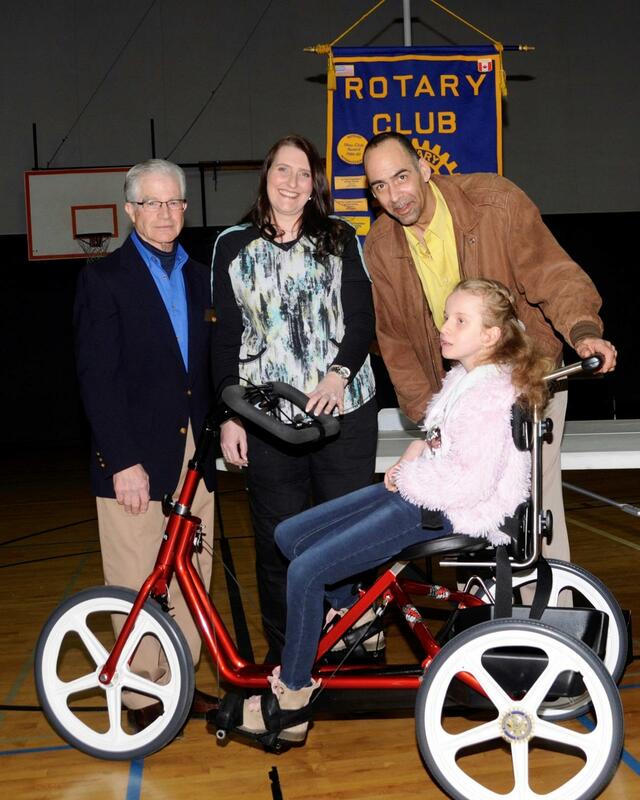 The Rotary Club of Sequim presented a Rifton Adaptive Tricycle to Abby Johnson, who has mobility challenges. As she grows, this tricycle is adjustable to ensure proper fitting for a lifetime of use. Rotary President Bob Macaulay said, "the goal of this project is to help one child at a time," but parent Tara Johnson added, "Our family has two other children that also can benefit form this bike so it will be well used." Pictured, above from left, are Bob Macaulay and parents Tara Johnson and Alvin Pitts, with Abby Johnson on her new custom-fitted tricycle. Thank you to Rotarian Kurt Turner who proposed this project to the club and committee members Mary Budke and Ed Ebling who spearheaded this first bike. Please get in touch with us if you'd like to participate in this worthwhile project.